Are we going to run left today or not? Where is that Callahan genius? So after we lose to them wat happens. I HATE this homecoming crap. Don't we lose every year? 2nd & 1 and you end up punting! 9 yards on 1st down, 0 after. This is the WORST offense in Redskins history. The team isn't negativity enough? There is just no way Dan Snyder can be watching this team and Gruden week after week and believe Gruden is even close to being head coach material. We're wasting not only the fans' time, but the players' time with Gruden at the helm. Just the sight of Gruden makes me sick. Gruden and Cousins is a nightmare HC QB combo if you're a skins fan. Whatever man.... like I said... we should win this one with ease. unreal start. 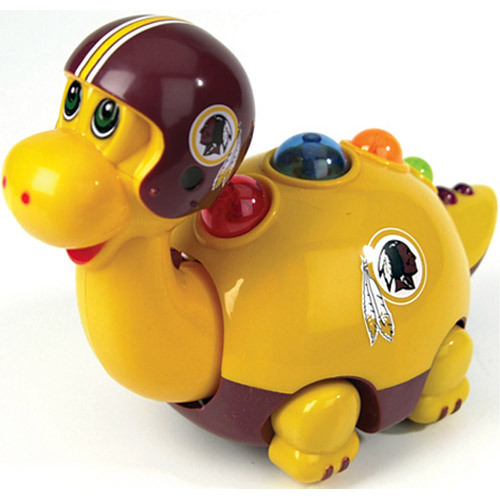 Except it's completely real for Grudens Redskins. This team is actually worse than last year! How is that even possible? This team makes me sick. How the heck did he hurt himself? Gotta love these tough man receivers. I would switch to Colt right now. Cousins will put this game out of reach for us within two plays. So much for culture change LOL. the Bucs ALWAYS find a way to expose the Skins. Doesn't matter who their coach is. This will be a 2nd half game the way it's going. Yep. So long as RG3 isn't playing, you're happy, even if the results are the same. I went into this game thinking positive thoughts but now I'm just sick of watching this inept offense and piss poor defense! I'm heading to a movie and putting this team behind me today. I just can't watch a whole afternoon of this! I'll tape it and watch it later if we happen to win. Yes, it is ridiculous expectations with the way this team has played. To win one with ease, something they haven't done in ages. I can't wait to hear the Gruden fluffers after this abortion. Think we'll run left on first down again?